Peeling a pomegranate is not an easy task. Getting at Armenia’s complex core isn’t any easier. 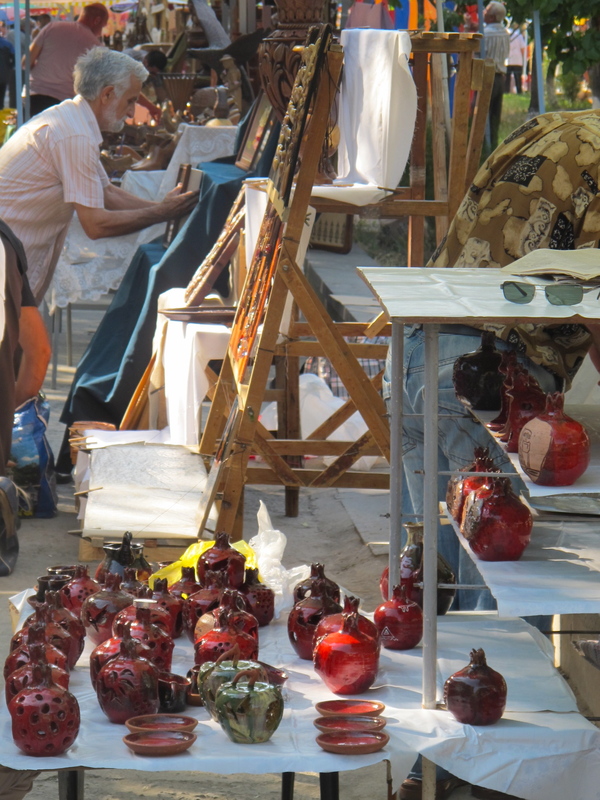 Yerevan in many ways symbolizes the country’s tangled past where sweet kernels of glory and bitter pith of pain are tightly squeezed together into the contours of Armenia that exists today. 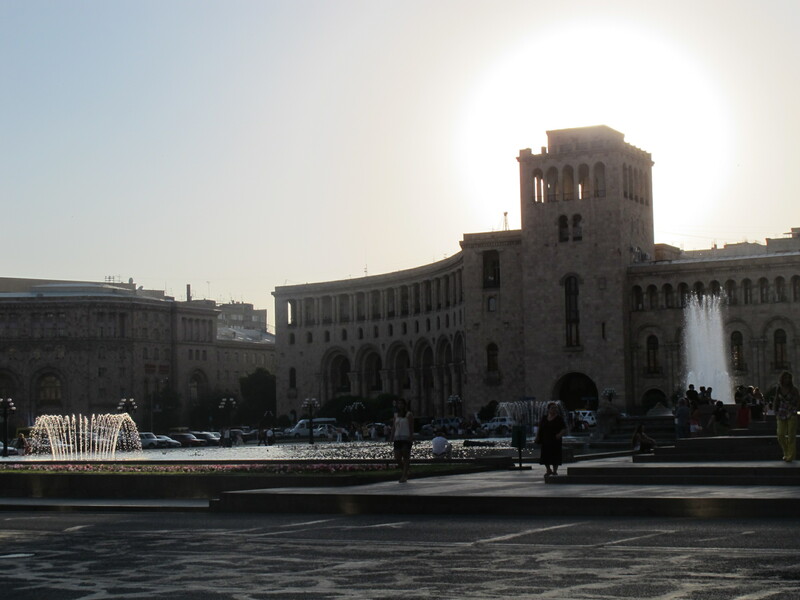 Founded before Rome, Yerevan is one of the oldest cities in the world. Because of its strategic location at the crossroads of trade routes between Europe and Asia, empires – from Persian and Ottoman to Soviet – have fought over this land throughout centuries. The defining moment in the country’s history was adopting Christianity in 301 AD – the first nation in the world to do so – when St. Gregory the Illuminator successfully converted the Armenian king and his court (I think his name sounds much better in the local vernacular by the way: Grigor Lusavorich). 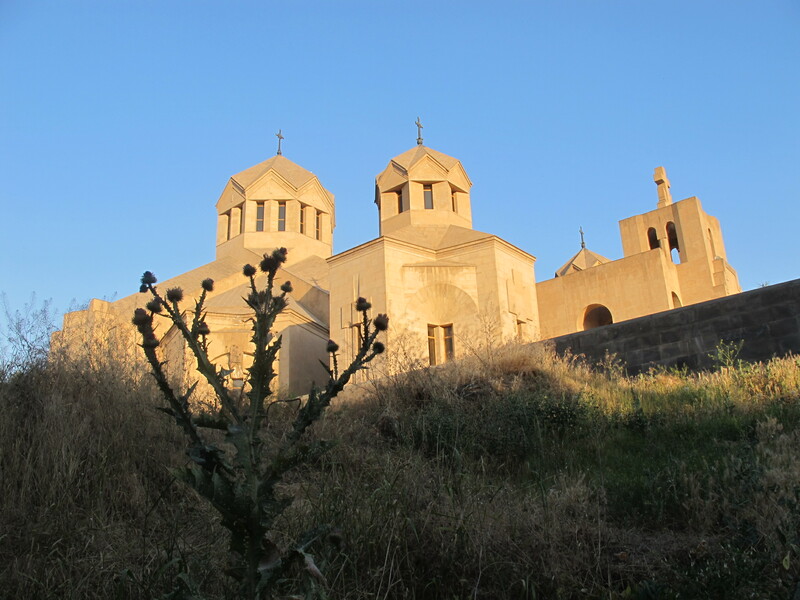 The evidence of ancient Christian roots is on display in particular in Armenia’s monasteries. 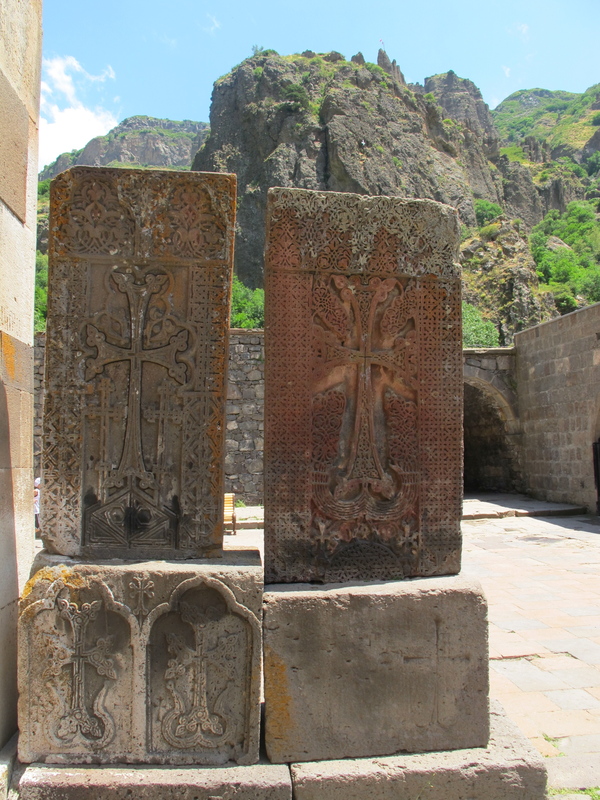 Khachkars, or elaborately carved Medieval stone crosses, adorn those amazing structures. 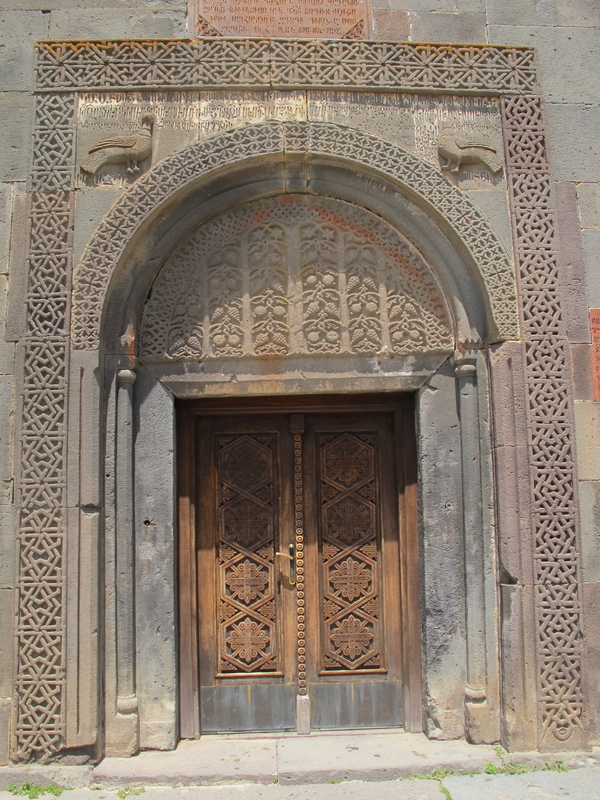 One of the most noteworthy Armenian monasteries is the unique Geghard, partially carved out of the adjacent mountain. 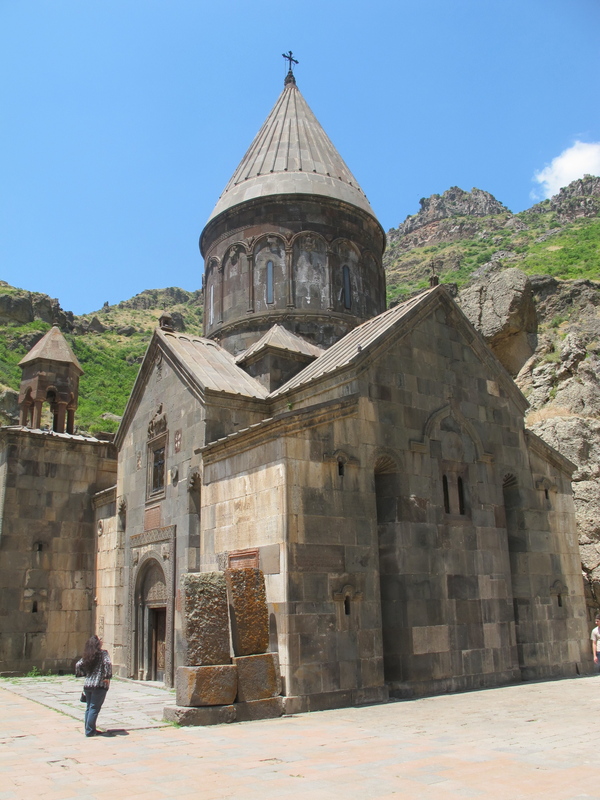 Its history dates back to the times of founding of Armenian Christianity, which combined with the stunning architecture and natural surroundings deservedly earned the Geghard monastery a place on the UNESCO World Heritage list. 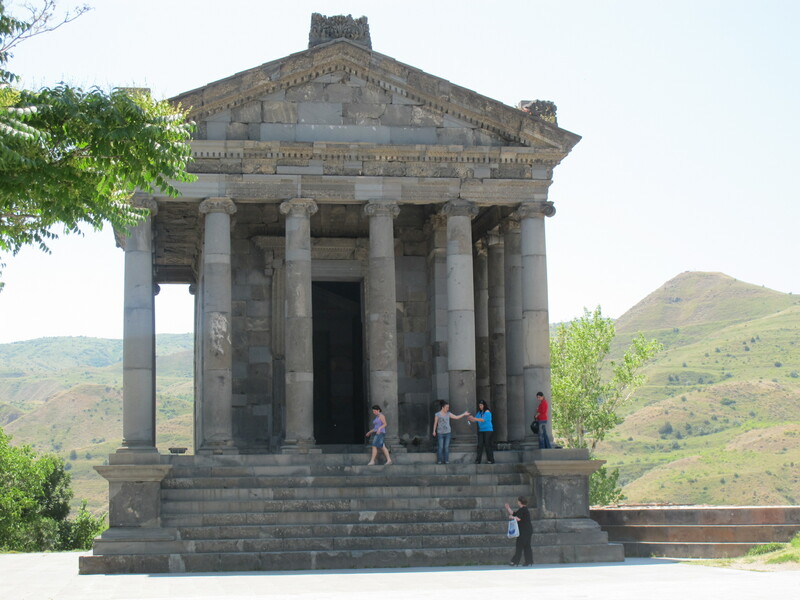 Its proximity to Yerevan makes Geghard, along with the nearby Greco-Roman Garni temple built in the 1st century AD, extremely popular and easily accessible destinations for a taste of Armenia beyond the capital. In the modern times the defining moment for Armenia came in 1915. It started on April 24, 1915 with the arrest of Armenian leaders in the Ottoman Istanbul, followed by mass deportations and massacres that led to deaths of at least half a million and maybe as many as 1.5 million Armenians. Turkey, the Ottoman Empire’s heir, vehemently resists the use of the word “genocide” to describe those horrid events, attributing the deaths to the chaos of WWI. But regardless of how one chooses to call that dark time, the end result was emptying of Eastern Anatolia (or Western Armenia depending on your perspective) of its Armenian population, the loss of hundreds of historic and cultural artifacts, and rapid acceleration of the survivors’ exodus from the region. 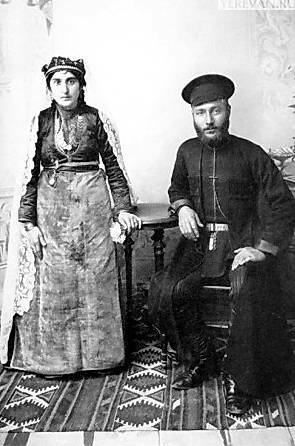 Today the diaspora vastly outnumbers roughly 3.3 million Armenians living in contemporary Armenia. 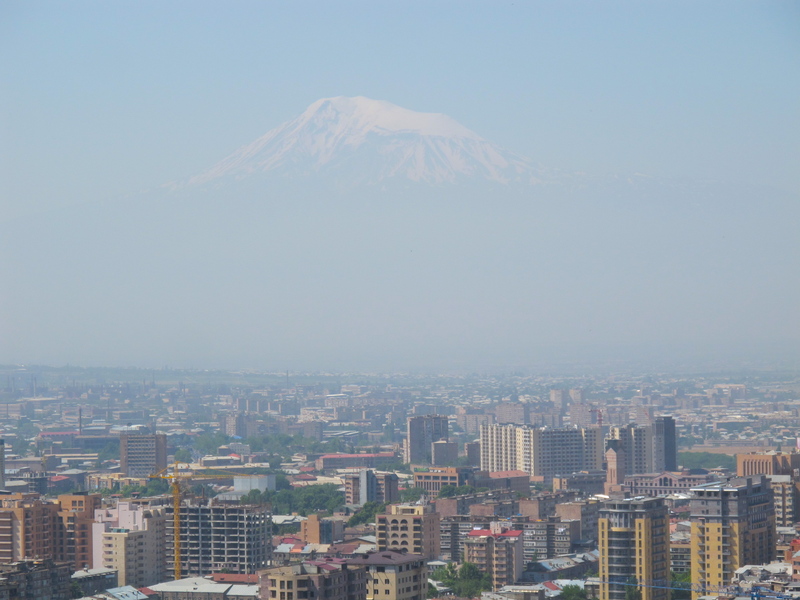 About half of them live in Yerevan in the shadow of the majestic Mount Ararat, history’s silent witness. There is something magnetic about this mountain – I could stare at its snow-cowered peak for hours. Magnificently looming on the horizon, it is always there seemingly close enough to touch and yet it remains distant across a closed border. But painful history does not necessarily have to determine the future (also speaking from Poland’s experience). In time, there can be reconciliation and even forgiveness – or so we all hope as inhabitants of this one earth. If Saroyan offers a glimpse into the Armenian soul, Sergei Parajanov gives us tour de force on the subject. 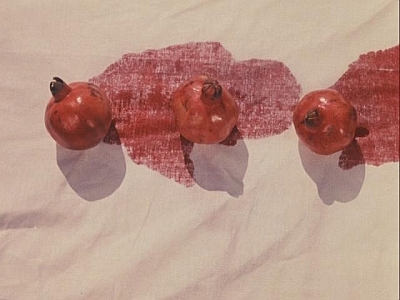 In his moody, metaphorical, and occasionally mind-boggling 1968 film The Color of Pomegranates he tells the life story of 18th century poet and musician Sayat-Nova through a series of visually stunning, non-linear minatures. I saw it after returning from Armenia and I can’t claim I fully understood the historical significance or cultural symbolism of all that I saw – both on the ground and on the screen. But even getting just a taste of a few morsels of the Armenian pomegranate can be a sumptuous feast. Hopefully you’ll be able to make it! I see your field is architecture and I’m sure you will love the old Armenian churches.